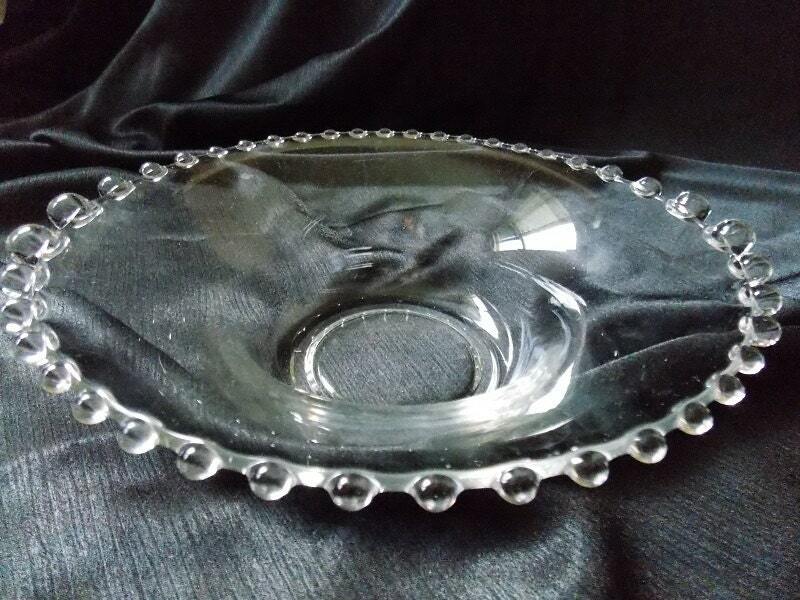 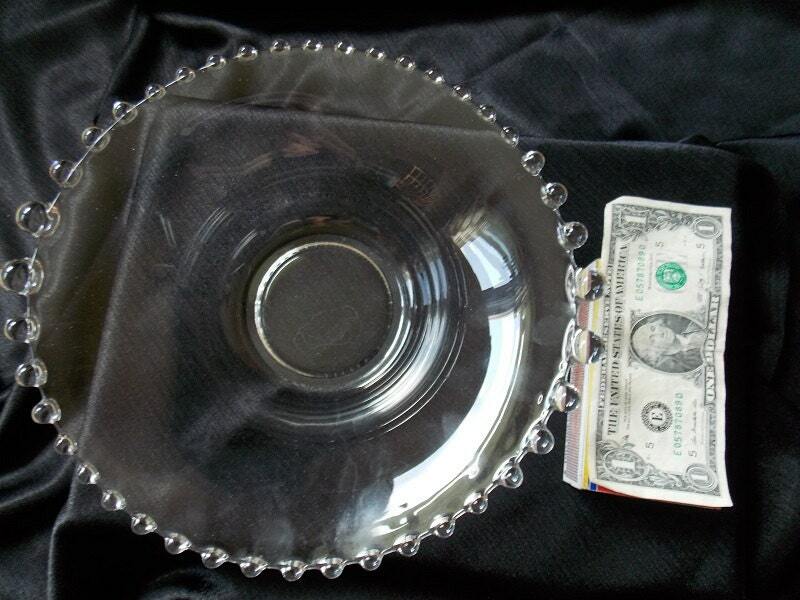 This beautiful vintage serving bowl made by Imperial Glass between the 1930s-1960s in the Candlewick pattern. 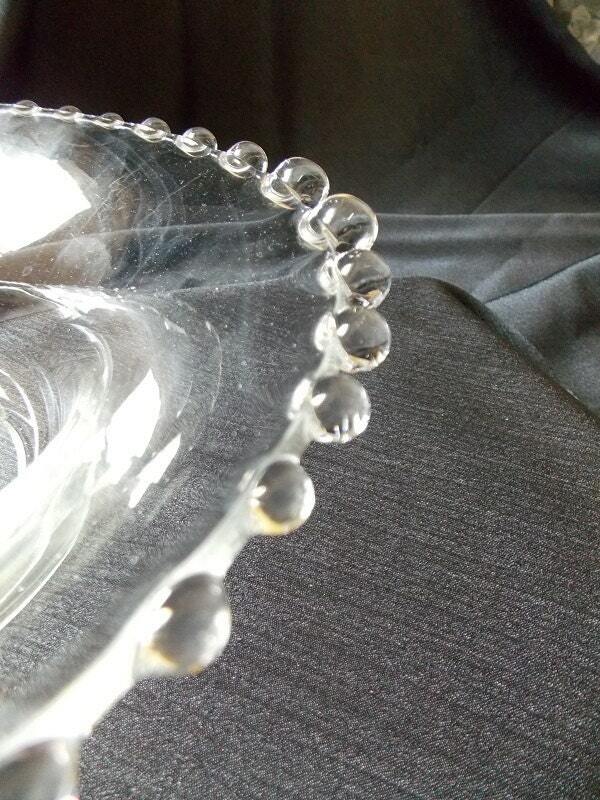 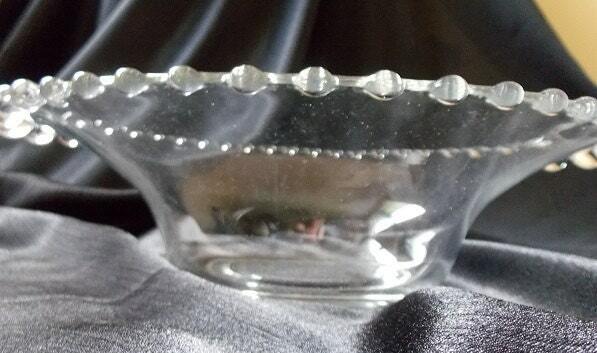 The bowl is a clear glass with a graduated beaded design which runs around the edge of the bowl. 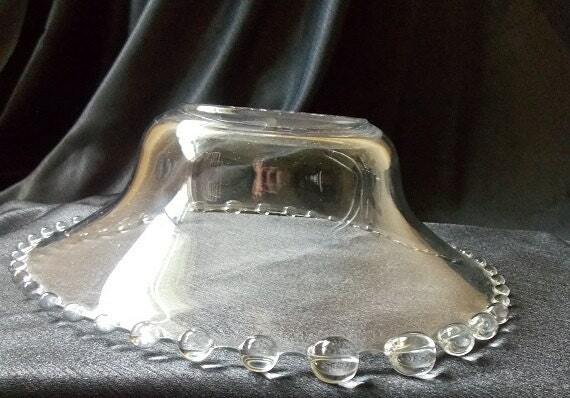 Perfect as a centerpiece!